set "save as type" to "All Files"
give it this file name: "runtm.bat"
I'm trying to replace the title screen image with a new one. I'm printing out a custom cover and I want the player on my custom cover to be on the title screen. 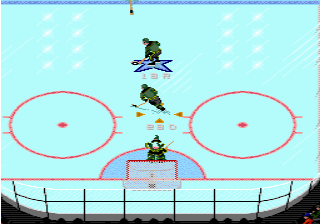 The NHL94, NHL Shield, and NHLPA logos don't need to be changed, just the player image. I've found the title screen image in Tile Molester, I just don't know how to replace it with my new image. Any suggestions? look in wboy's tile molester reference screenshots. should be the third image, pic, but i'm not possible. make sure the offset, the color palette, size, type, and screen size (bottom right corner of the page) is the same. can't tell you much else right now, because i'm at work. I may have answered my own question...I was looking through the Ice logo editing tutorial and I noticed that there is a bmp import function. I'll give that a try and see how it comes out. I don't see a bmp import function in Tile Molester. I might have to give Tile Layer Pro a try. Lots of work just to replace a title screen but it's gonna be cool when it's done. you can import a .bmp file in TM. make sure you save the image in photoshop or whatever you're using, select the whole title screen in the rom, then paste from (wherever your image is on you computer). all i use is .bmp files. Ah, thanks man! I'll give it a try tonight. I was reading a different thread where wboy shows how to get the colors loaded to help find the palette. I was able to follow the initial part where you use the debug option to display the current colors loaded, which then you can find the RGB and convert to Hex. The next part is where I would appreciate if someone could help breakdown further. 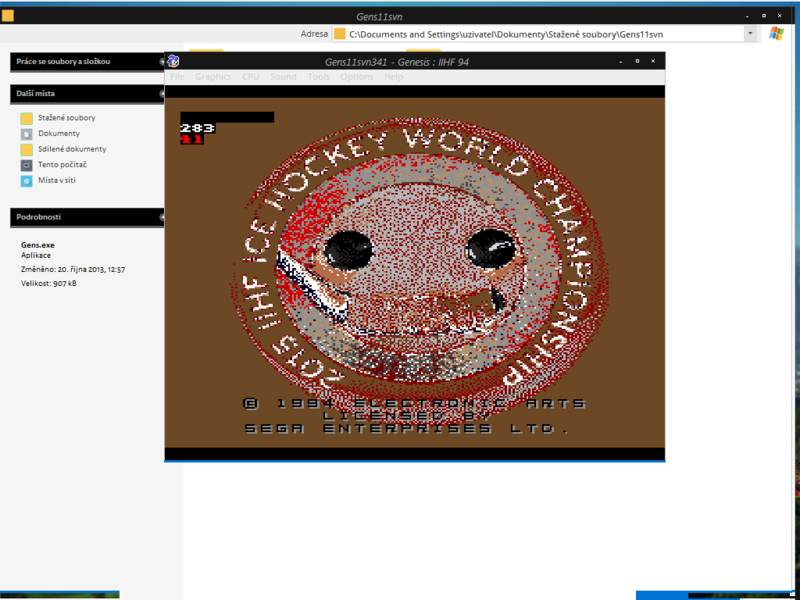 I am working in NHL 95 so not everything is the same, and this knowledge will help others help themselves if also working in different games. How do you ensure that the location you find the color match is the right location in the bin? How do you know what the start and size of the palette is to load? Just send me whatever rom you want me to work on and tell me what you want done. be glad to help. It would be great if someone posted a thread tutorial on "how to change a team logo" and show it step by step. Like here's how you change Anaheim old logo to new logo. I know the information is there, but the simple tutorial doesn't exist. I am still trying to get some help from someone on a Sochi edition. I have all of the teams done, just need to do the banners and center ice logos! Please help! I tried the tilemolester, but it doesn't work. @ Marty - Looks like you're on the wrong palette. After that, go back to "palette" on the top, and click "format". Make sure it's on "9bpp". Then, click "palette" again, and click "byte order". Make sure it's on "Motorola". Finally, click "View" on the top of the screen, then click "Codec" and make sure it's on "4bpp linear". Should work now. Though you will probably have to adjust the colors. you might want to rephrase that question, as it didn't really translate well into English. So I followed your instructions and the result is the same??? 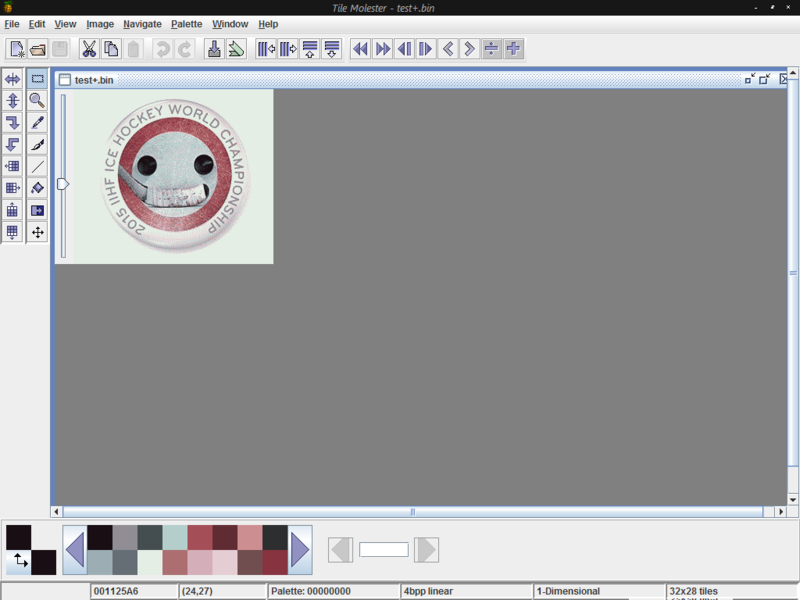 I think the first or last colour in the palette needs to be white or black, otherwise it does funny things. he's not going to be making many saves like that! For sprites, some colour in the palette must be transparent, otherwise all the players would be rectangular. So I think you must be using the same colour that's around the sprite (the transparent area that gives him his shape) as the colour for the goalie's back. I am having trouble getting the colors right on the team selection logos and center ice logos. It looks good when I exit TM but then when I open the rom the colors are screwed up. There are 2 common reasons for that. The first is that I think one of the first or last colours needs to be black or white (I can never remember which) so it gets interpreted as transparent. Or something like that. Anyone with more experience at this know the trick? The other is that you may not have edited the correct palette. I will check both of these tonight. FYI also: First color needs to be like color of ice.